1. Whisk your 3 eggs and add the milk. 2: Prepare bowl of panko breadcrumbs and Parmesan cheese and seasonings. 3. Heat pan on medium. 4. Add 2 tablespoons of butter and 2 tablespoons of coconut oil onto hot pan. 5. 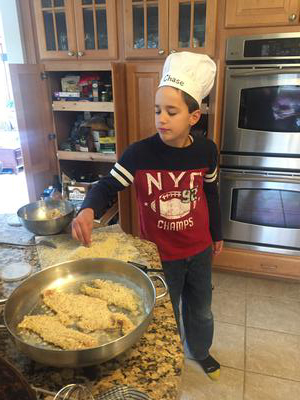 Place fish In beaten eggs and then dredge in breadcrumbs on both sides. 7. Remove from pan and place on paper towels to drain. Squeeze lemon slices on top or add tartar sauce. Enjoy!